Knead the flour with one tablespoon of oil and handful of water (I mean sprinkle some water) and after about 3-4 minutes you should get a soft dough. 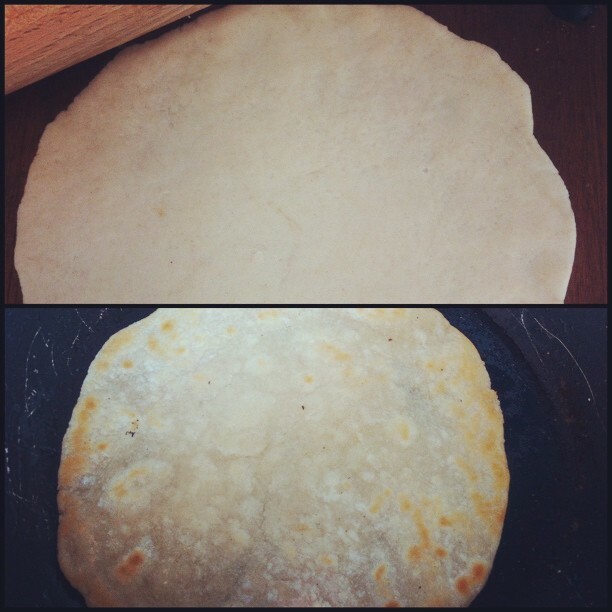 Then make a round ball and flatten it with a rolling pin, till you get a nice big round somewhat like a pancake or chapati. 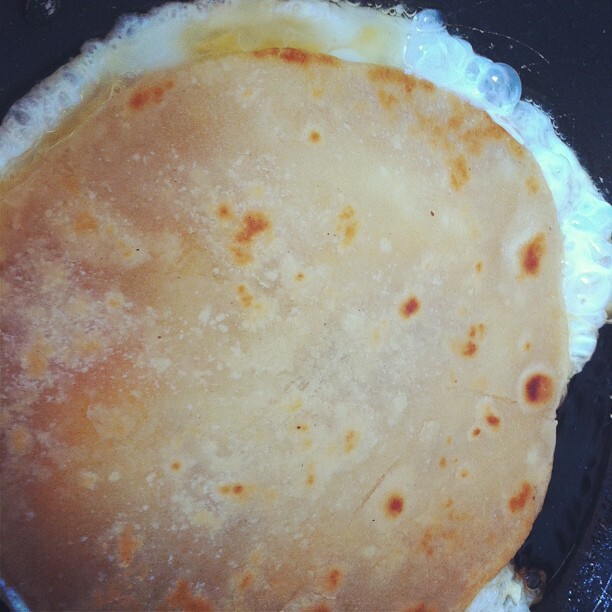 Then beat the egg and make an omelet, while still raw place the paratha on top of it while still on the pan. Then fry it together for a few seconds till you feel the egg is cooked. 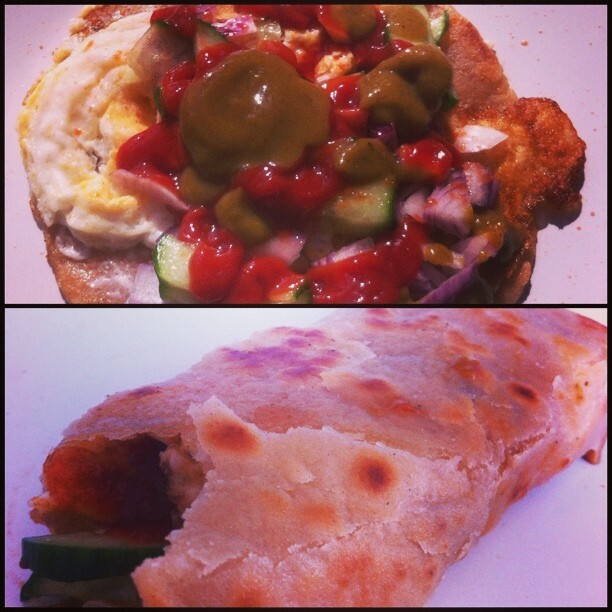 Finally add the chopped onions, cucumber, ketchup and chilly sauce and make a roll and enjoy!